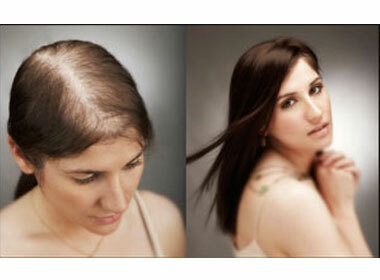 Romaines Hair Images is the Milwaukee hair loss and hair restoration experts. We are an independent organization that approaches hair loss treatment unlike any other business. We offer a solution of the very best hair replacement options designed to end your frustration. We provide a personalized and informed process to find the best hair replacement and restoration solution for your situation. We design every treatment to achieve your goals, honestly and transparently. You are in complete control. When it comes to the best men’s and women’s Milwaukee hair loss treatment solutions, you deserve RHI! If you have noticed you are losing hair or seeing your hair thinning, take the first step by booking an in-depth consultation with one of Romaines Hair Images hair loss consultants to develop a solution just for you. Your first one-on-one will be in one of our comfortable, private treatment rooms designed with your comfort in mind. Let us help you find the way back to feeling like yourself again — be confident again. Hair loss is a common occurrence among men, young and old, no one is in the clear from experiencing hair loss. It can cause loss in self-confidence and make people feel uncomfortable in their own skin. RHI provides hair loss solutions tailored to your concerns and circumstances. With a range of hair replacement treatments available, the choice can seem endless and confusing. We can provide the best advice to simply and effectively guide you to the best hair restoration solution to suit your needs. One of our specialist hair loss consultants will talk you through the whole process. They’ll create a personal treatment plan that includes the best hair restoration option for you and the results you can realistically expect. A custom hair piece designed by RHI for those who have lost their hair due to a medical condition or as a result of medical treatment. If you are experiencing hair loss due to heredity or undergoing chemotherapy as a form of treatment for “cancer” diagnoses, you’ll want to find the best “wig” on the market. The problem with shopping for such a personal item such as this online is that it robs you of your chance to get a truly customized unit and you are often stuck with a product that does not truly reflect your personality. A “cranial hair prosthesis” may be covered by your health insurance plan, so let's get you gorgeous today! Hair integration is the perfect choice for women with 20 — 50% hair loss. It can be combined with your own hair to fill in areas of need. This method is highly effective for female pattern hair loss. An integration can be adapted for extended wear or daily wear depending on your needs. Book your consultation now! Long, short, straight or wavy — your hair and how you wear it is a big part of your personality. That’s why female hair loss is such a distressing condition. You can lose confidence in your looks and even feel too embarrassed to enjoy activities like going swimming or to the gym. 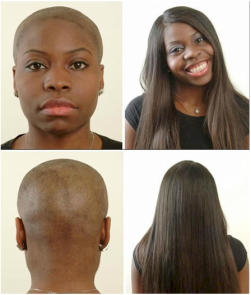 At RHI, we have been aware for some time that our industry has been neglecting women, leaving those who want to maintain the appearance of a full head of hair with little choice but to accept the old-fashion hair replacement solution of inflexible synthetic wig. This is no longer acceptable. We are compassionate and understanding towards women who are experiencing female pattern hair thinning or hair loss. We understand, that whilst men can find hair loss frustrating and overwhelming, for women it can weigh down their self-conscience and overall wellbeing. At Romaines Hair Images, we have individualized hair restoration solutions for women suffering from varying degrees of hair loss.